Text message marketing. There are other tools that are specifically designed for text message marketing, but it would be great if ActiveCampaign took over this industry as well, with their same philosophy of simple and fast to build + super powerful. It gets a bit expensive when you have a large list, because they charge in tiers based on the number of contacts. So does everyone else though, so if you have a big list it will be expensive to host. Modifications to live, existing programs can be a little tricky. Versioning would be nice. Shape count numbers can be misleading to new users. Furthermore, these numbers make for unreliable analytics although the accurate alternative using smart segments gets pretty cumbersome. Organizing campaigns can be a bit difficult since smart segments live within the Contact section and Journeys live in a separate section. Program folders might help this. Compared to options like MailChimp and Constant Contact, ActiveCampaign offers a much more robust and granular delivery feature set. Compared to more robust options like Infusionsoft or HubSpot, it offers much of the same functionality for a fraction of the cost. Once your list grows into the thousands, you'll want to consider Infusionsoft or HubSpot for their better CRM features, but if your list is smaller and you want to get aggressive about growing it, this is the tool for you. Autopilot is the only visual journey builder in comparison to a lot of text-based journey builders available in the market. 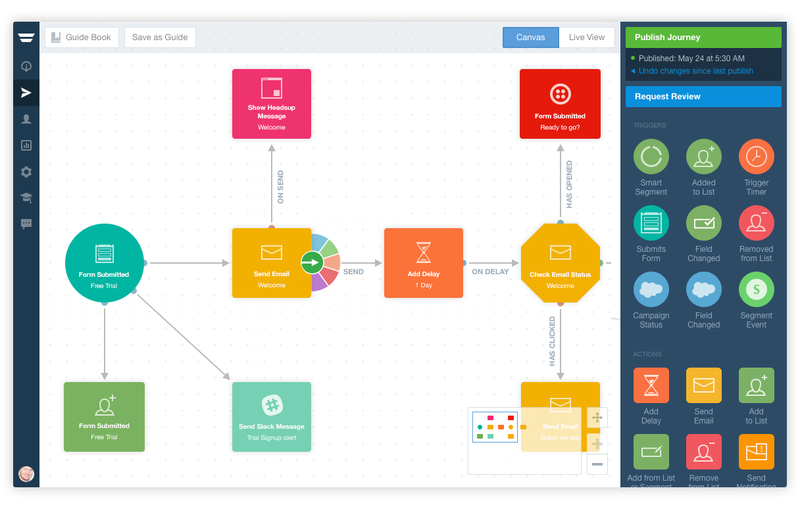 The visual journey builder helps so much to break down complicated journeys. ActiveCampaign is not inexpensive, so that's something to think about. If you need help and perspective for sales management, it's worth it. Positively, it threw me into the ring of the newest methods of sales. It has helped us organize our plan and the folks that are already engaged in our programming. The investment is certainly less than other competitors, so it's an easy sell for smaller companies or a segment of a larger company.